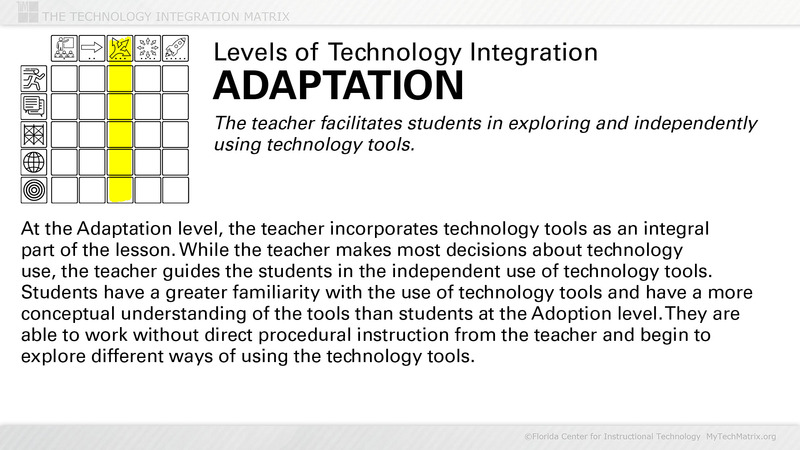 Presentation slide with text describing the Adaptation level of technology integration. 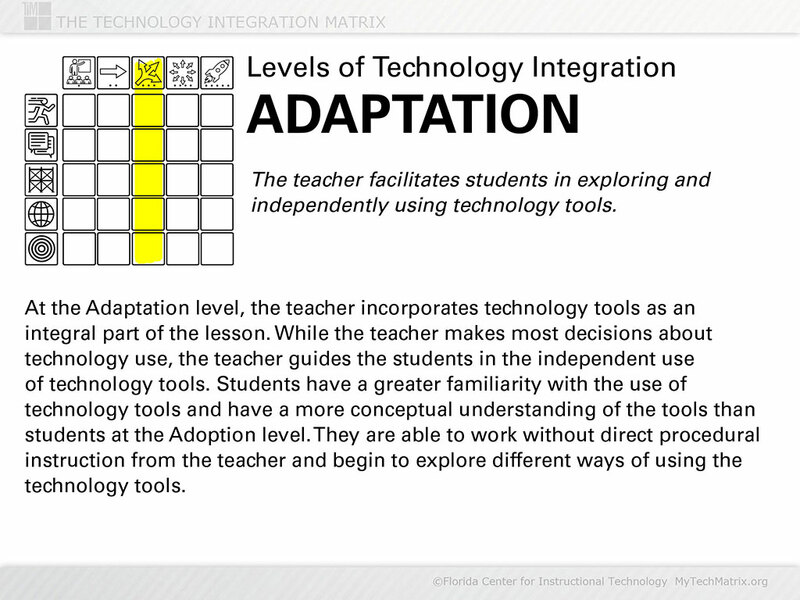 Adaptation is the third of five levels of technology integration identified in the Technology Integration Matrix. At the Adaptation level, the teacher facilitates students in exploring and independently using technology tools.